We can tell you over and over that hiring a Filipino worker will create freedom and grow your business like you’d never imagine, but you might get tired of hearing it from us. So listen to our friends. 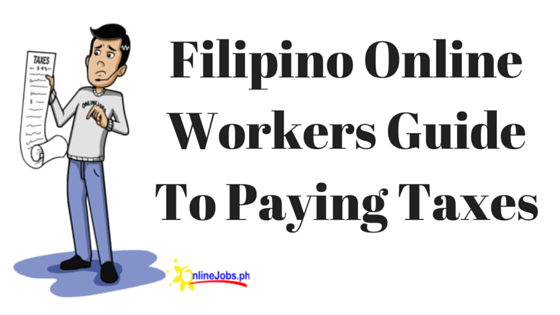 OnlineJobs.ph has connected literally tens of thousands of business owners with their ideal Filipino workers. Here’s a smattering of our success stories. You may relate to one. Kimberly: Learn how one competent, dedicated, loyal Filipino worker has completely changed Kimberly’s life. James: You CAN capitalize on your passion with help from Filipino VAs. Learn how James’s growing business maintains almost 2 dozen virtual workers. Catherine: This young entrepreneur earns a living doing what she loves and Filipino workers make it all possible. Ryan: From the accounting department to Amazon millionaire–see how Ryan Wernicke utilizes his virtual workers. Matt L.: Your business needs leverage to grow. Internet marketer Matt Hollie teaches how Filipino workers fit the bill. Brad: This company grew from 15 to 200 employees in less than two years with help from Filipino virtual workers. Ross: Ross’s realistic account of hiring and firing Filipino workers. You may run into the same problems, but you can also experience his success. Chris: Learn how hiring Filipino VAs has helped Chris better manage his time and get more work done. Warren: When Warren was at the peak of his business, and at the worst point of his health, he already knew that he couldn’t do it all alone. Tan Shiwei: Like any other business owner in the world, Tan had a major problem. He needed more people to help with his recruitment business. Evan: The great thing about Evan and his website is that we both have the same mission; help entrepreneurs grow their business on a budget. Reezy: The amazing thing about Reezy is he gets so much work done and he makes it look so easy. He doesn’t look like the entrepreneur that works 40 to 60 hours a week. Jesse Razo: Once he started outsourcing, he finally had the business, and life he always wanted. Dean Soto: For Dean Soto of FreedomInFiveMinutes.com, outsourcing is a way of business and of life. Miles Beckler: After 10 years of failed internet businesses, Miles Beckler had a seriously bad taste in his mouth. Brielle Slate: Brielle started outsourcing using the ‘safe’ route, hiring through an agency. But the thing is, when you hire through an agency, the VA doesn’t really work for you, the VA works for the agency. Travis Marziani: Travis is also the founder of EffectiveeCommerce.com, where he teaches entrepreneurs how to scale their eCommerce businesses using the same tactics he uses to promote Performance Nut Butter. Marcella: This retail store owner utilizes Filipino workers to stay ahead of the competition. You can do the same. Virtual workers CAN make your life better. Outsourcing works. Visit our “Education” tab to learn more about outsourcing to the Philippines and how to make it work for you. outsourcing can help many filipinos to have a great work and to help also it would be a better to make a success with our own life if we know how to encourage ourself to do it once in our life…. Don’t Ever Pay your VA less than $3. There are still a lot of people that want to get services for free. They dupe online workers in giving free samples and never here fro so called enployers ever again. I hope that the administration can help in reducing unwanted incidences like these in the future!